AC or DC coupling: Which to use for your next storage project? Storage can be incorporated into new or existing solar projects through AC or DC coupling, but the guidelines for when to use each architecture are not black and white. When adding storage to a new or existing solar project, there are two main ways to integrate the two sources—either through AC or DC coupling. Each is representative of where the battery is connected—the AC or DC bus. Unfortunately, choosing the right method for a project isn’t straightforward. Each has its own pros and cons, but by using a few governing considerations and understanding the benefits of each architecture, contractors can make the best choice possible for each installation. Batteries store energy as DC power, and solar panels only output DC power, so in a DC architecture, the solar array can be directly connected to a DC-to-DC converter (known as a charge controller, DC boost, DC stage, etc. ), which is then connected to one inverter to convert the power to usable AC. AC architecture requires two or more inverters. This means both the solar panels and batteries are each connected to AC-to-DC converters, which then feed current into two separate inverters for AC power output. Net metering: The California Public Utilities Commission (CPUC) requirements for net metering generally do not allow for DC-coupled systems greater than 10 kW. However, CALSEIA is petitioning to update these requirements to allow for larger systems. Flexibility: AC-coupled systems involve two or more inverters, which gives installers more flexibility to adjust the location of batteries and other equipment. AC coupling also works with any type of inverter, even microinverters. Resiliency: Having more than one inverter and equipment in various locations helps reduce the risk of the entire system going down if any inverter has a failure. Downtime can have major effects for commercial or utility customers when it comes to demand charge management. Demand charge management requires customers to stay under a certain power consumption to avoid additional charges to their bills. If energy use surges, Every said customers have a short window of about 15 minutes to drop usage down below a certain threshold. This is where storage can step in with backup power to accommodate the increased load without having to draw power from the grid. Efficiency: Each time there is a conversion from AC to DC, or vice versa, there is some amount of energy loss. In DC coupling, the power is only converted once, so there is a marginal efficiency benefit. Simplicity: Having one inverter means simpler installation with less equipment, so DC-coupled systems can be less expensive. For example, an AC-coupled large utility project would require separate medium-voltage transformers and switchgear for each inverter. A DC-coupled approach with one inverter eliminates this extra equipment, which increases system efficiency while decreases system cost when compared to AC-coupled systems. DC coupling is also a good choice for residential installations that don’t use microinverters. In California, residential systems less than 10 kW still qualify for net metering. DC-coupled residential systems don’t experience the financial risk involved with demand charge management that larger projects do because if the power goes out the homeowner may only lose a small amount of money. However, if the home’s system is powering medical equipment or other critical loads, an AC-coupled system would be more appropriate. Horizon Solar Power director of engineering, Ryan Mcpherson, said it sees advantages of both architectures in residential projects. Off-grid projects or microgrids with buildings and loads in close proximity (avoiding the need to run excess DC wiring) can also be a good fit for DC coupling. DC coupling can also simplify interconnection in locations with certain incentive programs. DC-coupled systems also avoid additional metering and controls needed for AC-coupled systems to verify that batteries are charged from PV energy, not the grid, therefore qualifying for the ITC. Storage can qualify under the solar ITC of 30% if at least 75% of the energy used to charge the battery is coming from solar, not the grid. This can be difficult to prove or track with data from two or more inverters. 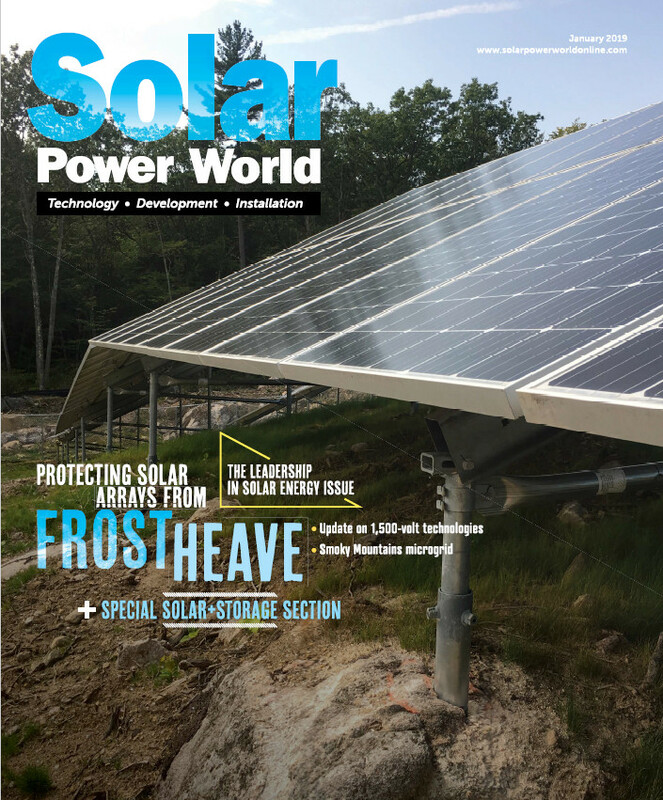 “With a DC-coupled design, the inverter will only charge the battery from the PV array, so there is zero risk [of charging from the grid] and tax credits are made available to the owner,” said Chip Palombini, sales and marketing manager at Dynapower. Value: Palombini explained that while AC-coupled systems can only take advantage of value streams like capacity firming, energy time shifting and ramp rate control, DC-coupled systems allow for those in addition to clipping recapture, curtailment recapture and low-voltage harvest. However, Every cautioned that not all utilities are set up to pay for all value streams. The decision between AC or DC coupling is not black and white. Whether using an AC or DC architecture to add storage, it’s always important to follow the NEC requirements and safety precautions. Site surveys are also an important part of pre-installation, factoring in clearances and communication. Contractors interested in installing storage are also encouraged to attend a training course, whether through a manufacturer or a school. Any doubts or concerns about integrating storage should be addressed with the inverter manufacturer.